Babyproofing is one of those crucial stages that every parent undertakes when their child starts to move independently. Little fingers get into cupboards and other places with surprising ease and stairs become a hazard the size of Mount Everest. With the Child Accident Prevention Trust’s annual Child Safety Week just around the corner (23-29 June 2014), it's time to consider babyproofing and I'm going to offer some tips to make it easier. 1. Stair Gates. These are the first thing that most parents purchase and think about when undertaking baby proofing. They come in all shapes and sizes now and there should be one suitable for virtually every home. Think carefully about how many you will need and where they will need to go. Top and bottom of the stairs are obvious but you may use them to close off access to other rooms, like the kitchen too. We had ours at the top of our stairs and across our lounge doorway as our hallway is very small and our stairs lead straight from it. We also chose a Lascal Kiddyguard safety gate which is retractable and perfect as an open gate doesn't obstruct the hallway. 2. Cupboard locks. We never actually bothered with these. I just made sure that the accessible cupboards didn't have anything dangerous in them, mainly because I spent about 20 minutes trying to get into one at a friend's house once, only to have to get her six year old to open the cupboard for me. Sigh. If swapping cupboard contents isn't an option then you can pick up packs of guards cheaply in a range of retailers. A friend uses the BabyDan locks and they seem very useful. 3. Plug socket covers. There is a lot of debate on these at the moment. We didn't use them but I know lots of people who do. Some people say that it can actually make it easier for a child to stick something in a socket as the socket covers hold the safety flap inside open. I've recently spotted these full plug covers which look safer and should eliminate the ability to keep flicking those switches too. Perfect to avoid those unfortunate 'switched off freezer' moments. 4. Door Stops. If you have heavy doors that are often left open in your home then door stops are the perfect way to ensure that you don't have little fingers slammed in doors.We have Jamm door stops and these work brilliantly. They fit on to the end of the door and are wedged on both sides which means that your child shouldn't be able to accidentally push a door open at all. Apparently 28000 children aged under 15 visit A&E every year with door injuries. It's an often overlooked area for childproofing. You can get lots of cute animal door stops but I'd avoid these as, to me, this is a safety item and shouldn't be eyecatching or attractive to little ones. 5. The Cooker and Oven. This is, obviously a very concerning area and you can buy a range of different safety devices which allow you to guard against hot oven doors, stove guards and knob covers. We've preferred to keep children out of the kitchen completely when cooking and this has worked well, if this is unavoidable then the various devices could definitely be considered. I don't know anyone who has used these so if you have any recommendations please leave them in the comments. 6. The Bathroom. It goes without saying that children should never be left unattended in the bathroom. There are ways to make bathtime safer though. A non-slip bath mat or adhesive non-slip stickers is always handy when placing little ones in and out of the bath and you can also buy guards to cover your taps and to lock your toilet! Bath thermometers are great if you aren't confident enough to use the 'elbow test', we love our Brother Max Ray Room and Bath Thermometer it doubles as a cute bath toy too. It's important that babyproofing isn't regarded as a fix all. Children still need to be closely supervised. Similarly, as children get older they need to learn about risk. Toddlers need to be given the opportunity to practice going up and down stairs with a parent or carer close by to grab them if needed. As their understanding increases then the various safety devices can be removed as you can explain to your child that something is dangerous, that the oven will burn or that a cupboard is off limits. Betta Living have created a one stop hub for child safety in support of Child Safety Week. Head over to their Safety in the Home page to take part in their 'How Safe is Your Home' survey for the chance to win £50, read blog posts, see their infographic and take their Hazard Awareness test (from 23rd June) to see how much you know about child safety in your home. 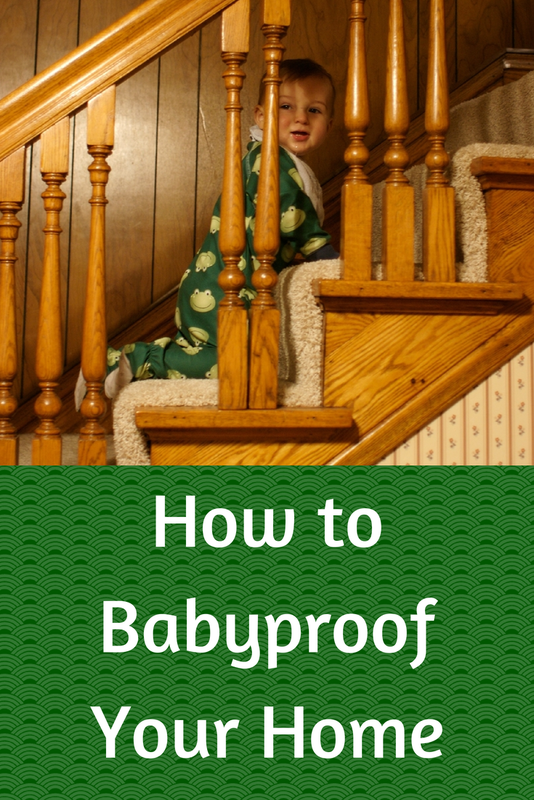 Have you babyproofed your home? What's your number one suggestion to make a baby or toddler's home safer? In Association with Betta Living.